On March 16th, 2018, the Miami Herald reported on an important story originating out of Central Florida. Prosecutors in Orange County and Osceola County will no longer seek cash bail for certain minor crimes. This is an incredibly important step that will help make our justice system more fair to criminal defendants of all economic backgrounds. Unfortunately, as experienced Miami criminal defense attorneys know well, some low-income defendants who cannot afford bail simply plead guilty to charges in order to get themselves out of jail. Others are forced to remain in prison awaiting trial for a relatively minor charge because they cannot afford to pay a monetary bail. 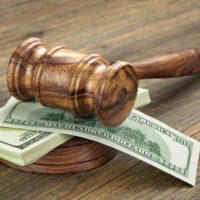 The recent decision by prosecutors in Central Florida is part of a much larger national trend that is pushing back against the frequent use of monetary bail. Indeed, in 2016, the United States Department of Justice (DOJ), under then-President Barack Obama, submitted a legal brief to a federal appeals court questioning the constitutionality of monetary bail. In recent years, several different jurisdictions have moved against monetary bail. Perhaps most notably, in Philadelphia, Larry Krasner, noted civil rights lawyer and former public defender, campaigned for the position of the city’s District Attorney by promising the to end monetary bail for certain crimes. He won the election, and then followed through on the promise. Low-income defendants often do not have the ability to post monetary bail. As the criminal justice system can move at a very slow pace, this could result in a person being incarcerated for a significant period of time, without receiving a trial. One of the best illustrations of this problem is the case of Kalief Browder, whose story received national attention after he was arrested in the Bronx. Just 16 years old at the time of his arrest, Mr. Browder was sent to prison after he was unable to post bail. He sat in prison for three years, maintaining his innocence the entire time while he was waiting for his case to be heard. The crime he was accused of committing? Theft of backpack, with contents valued around $1,500. He spent three years in jail awaiting trial for these relatively minor, nonviolent charges. Eventually, Mr. Browder’s case was dismissed because there were no witnesses who could corroborate the allegations. Tragically, two years later, Mr. Brower committed suicide. Many believe that the abuse he endured in prison contributed to his mental health issue. While this case is especially heartbreaking, it is not unique. Many low-income defendants are forced to endure significant time in prison simply because they cannot afford to post bail. At Ratzan & Faccidomo, LLC, our top-rated criminal defense attorneys provide compassionate, aggressive legal services to defendants throughout South Florida. If you or a family member was arrested and charged with a crime, please do not hesitate to contact us today at 305-600-3519 to arrange a fully confidential initial consultation.